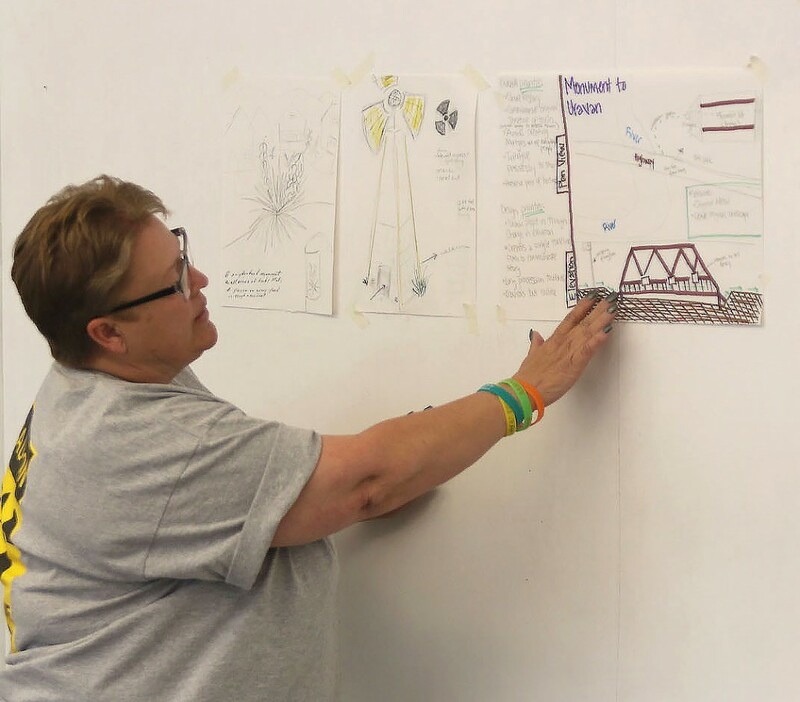 On March 19, 2016, the National TLC Service held a design charrette in Colorado Springs, CO, focused on developing experimental commemorations of the region’s ongoing Cold War legacy. 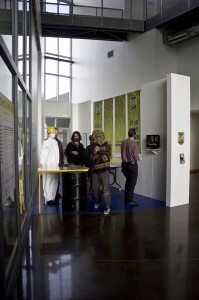 The charrette was part of a collaborative Atomic Landscapes exhibition with the I.D.E.A. Space/Gallery at Colorado College. For the exhibition, the National TLC Service set up a mobile field office in the I.D.E.A. Space/Gallery at Colorado College and invited audiences to think critically about Cold War militarism, contamination, and disease. Through its traveling office, the National TLC Service has conducted – and continues to conduct – research and grassroots outreach throughout the United States. Along with its mobile field office, The National TLC Service design charrette aimed to infuse public discourses/cultural memories of the Cold War with local knowledges and multi-perspectival experiences. Through this exchange, the charrette also proposed the creation of an unofficial National Cold War Environmental Heritage Trail in Colorado and surrounding areas – (in)complete with markers of the War’s material and metaphorical processes. 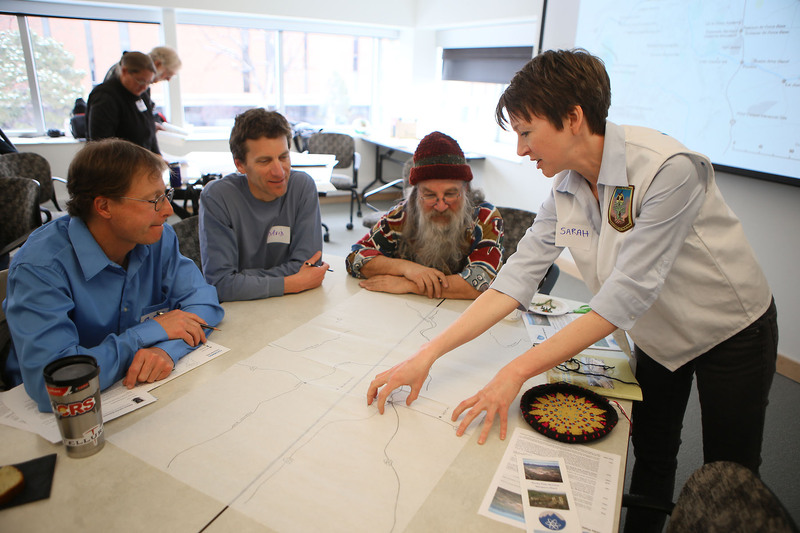 TLC Agent Sarah Kanouse consults with Scott Clough, David Havlick, and Art Goodtimes on their map of Colorado’s nuclear geographies. 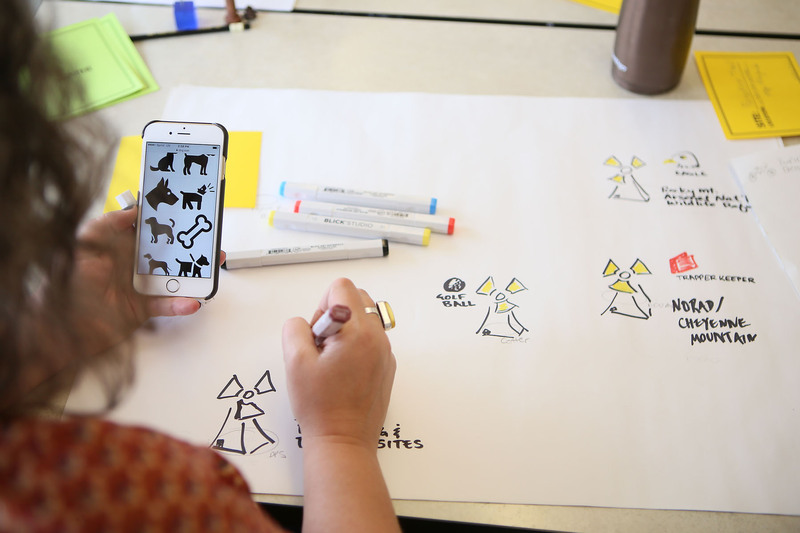 During the charrette, 30 participants worked alongside National TLC Service Agents Sarah Kanouse and Shiloh Krupar to locate and map notable sites of Cold War research, production, and contamination. Sites discussed included Denver Federal Center, Durango Processing and Disposal Site, Grand Junction Processing and Disposal Sites, Lincoln Park Superfund Site/Cotter Uranium Mill, Lowry Landfill/Lowry Bombing and Gunnery Range, Minuteman III Intercontinental Ballistic Missiles, Monticello Uranium Mill and Contaminated Properties, NORAD, Project Ploughshare Tests, Pueblo Chemical Depot, Piñon Canyon Maneuver Site, Rocky Flats National Wildlife Refuge, Rocky Mountain Arsenal National Wildlife Refuge, Schwartzwalder Mine, the Uravian Mineral Belt, and White Mesa Uranium Mill. 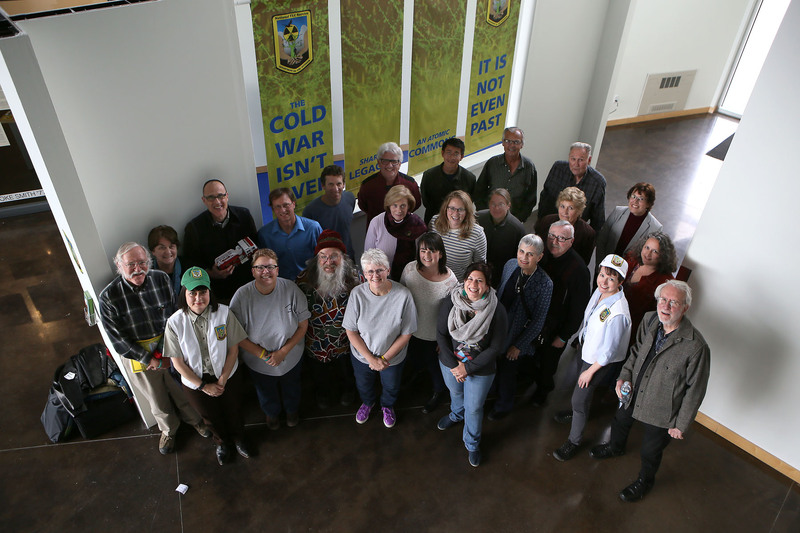 Moreover, attendees shared stories, sounds, actions, objects, symbols, gestures, and materials to (re)examine the complex – and often conflicting – representations of the Cold War. Through combined methods, participants developed potential trails and tours that would ultimately function as spatial narratives to “tell Cold War stories through place.” The event concluded with participants breaking into small groups and designing speculative monuments to reflect the Cold War’s toxic epistemologies/effects in Colorado and beyond. Phaedra Pezzullo sketches windmill waystations for a uranium mining environmental heritage trail. Curated by Jessica Hunter-Larsen and featuring artwork from Jeremy Bolen, Nina Elder, Eric LoPresti, Patrick Ryoichi Nagatani, and Claudia X. Valdes, Atomic Landscapes challenged audiences to think about the “dis-unified” cultures and epistemologies that emerged with the Atomic Age. Examining several nuclear hotspots in the American West and Southwest, the exhibition urged participants to question the ways in which nuclear history fuses into (or often evades) political, cultural, and personal narratives.